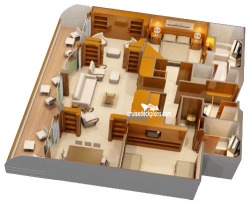 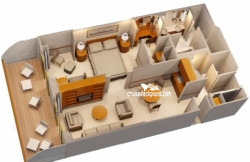 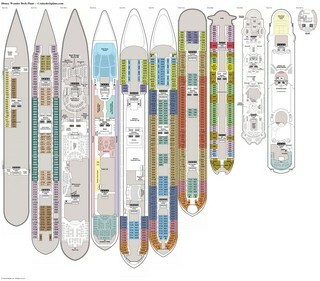 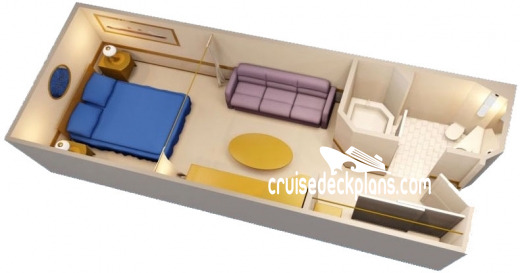 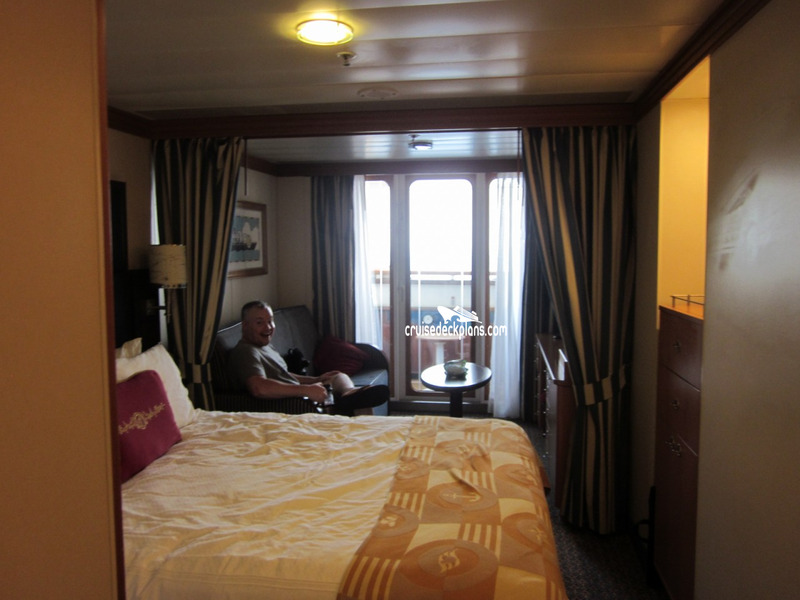 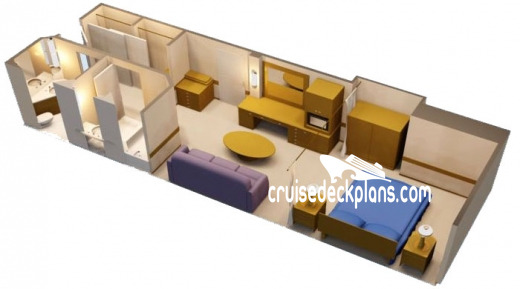 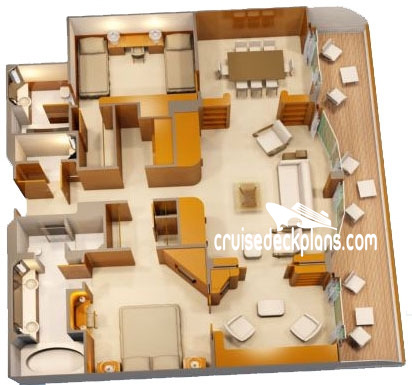 Cabin size includes balcony. 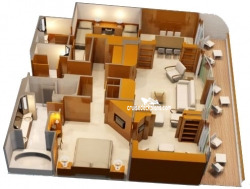 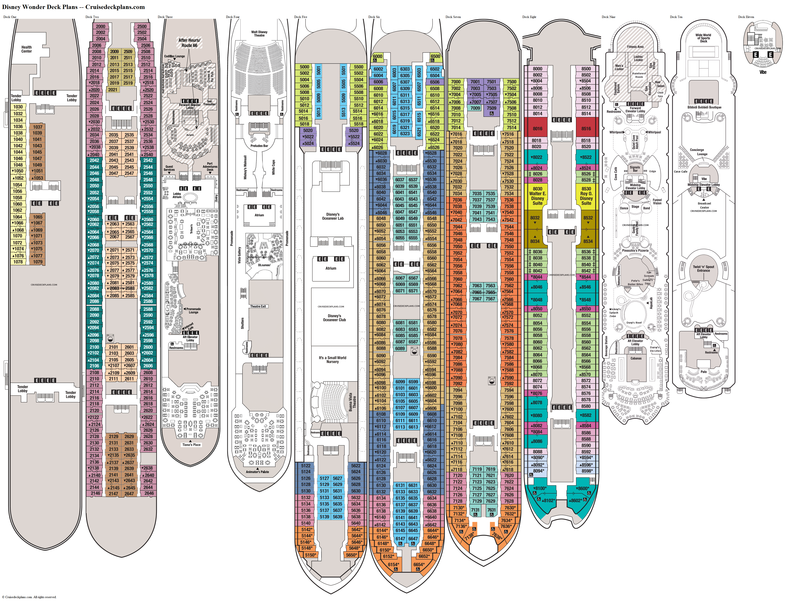 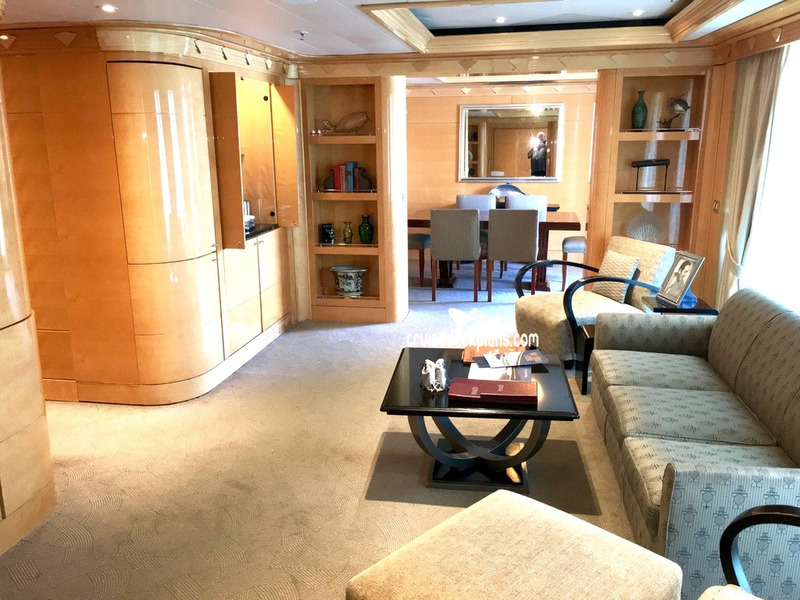 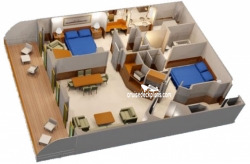 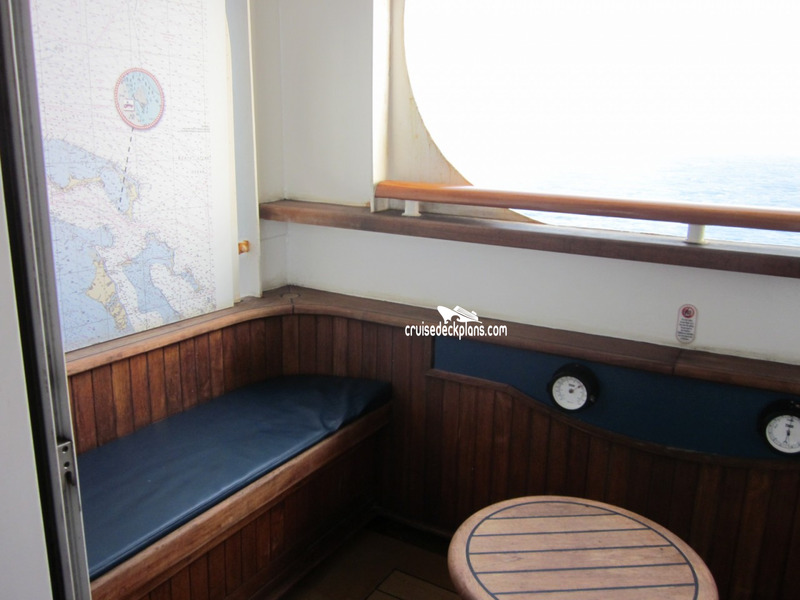 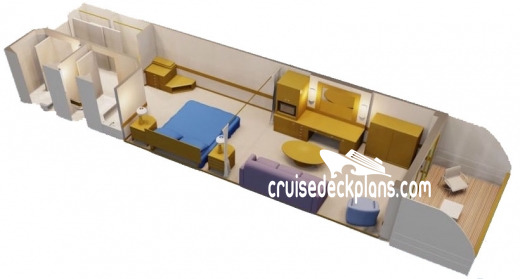 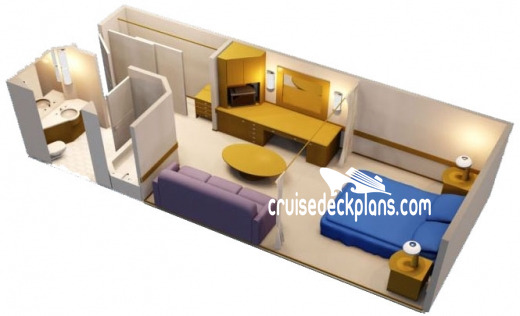 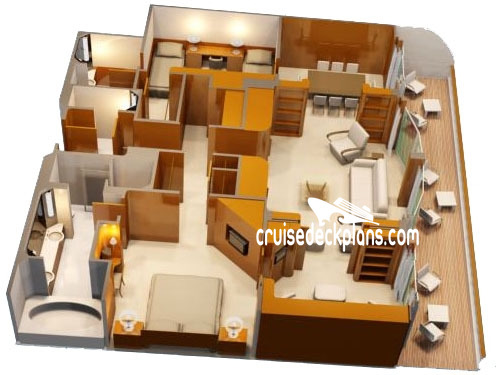 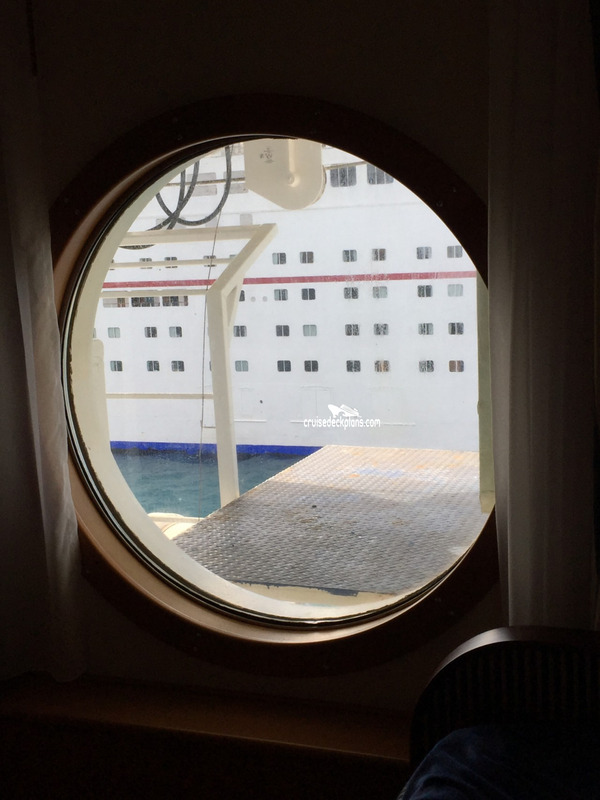 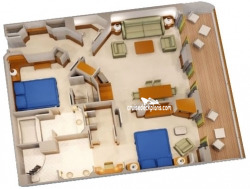 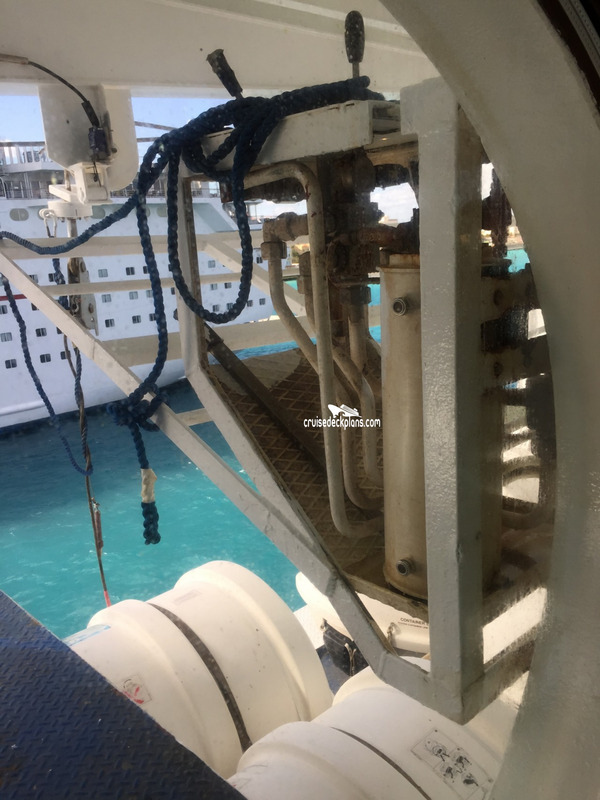 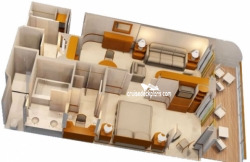 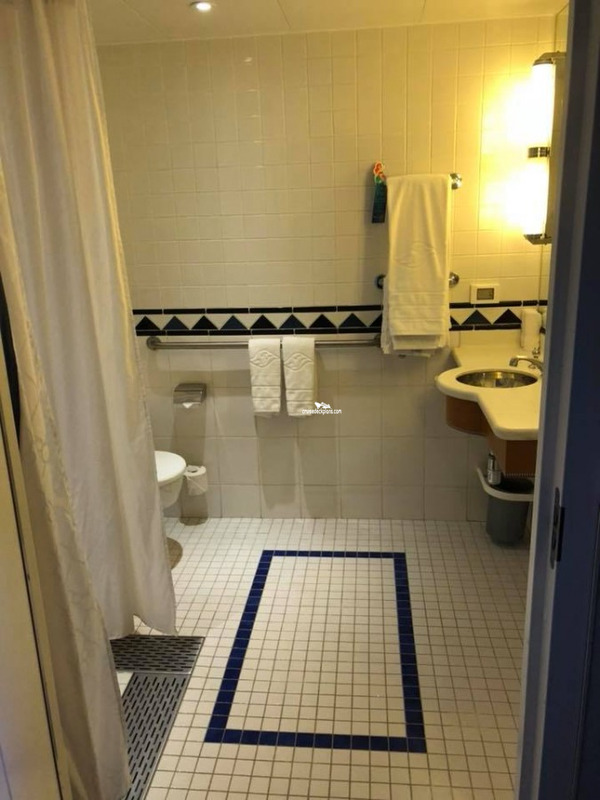 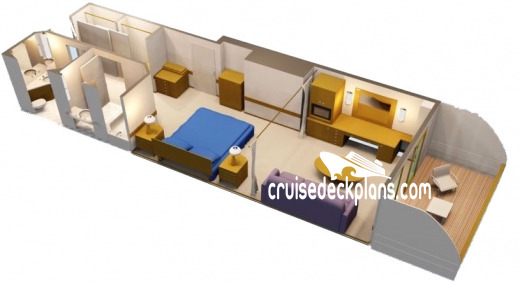 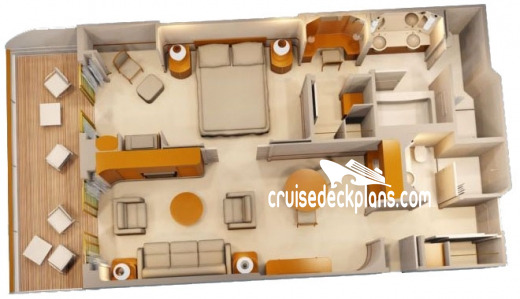 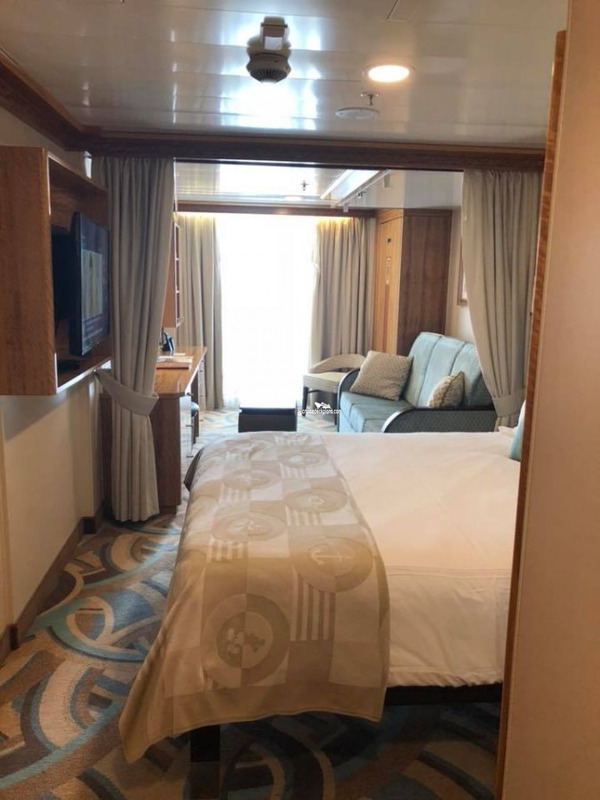 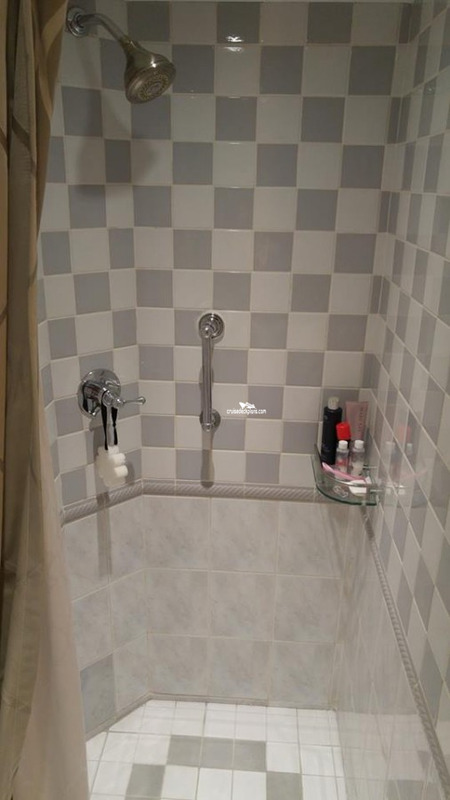 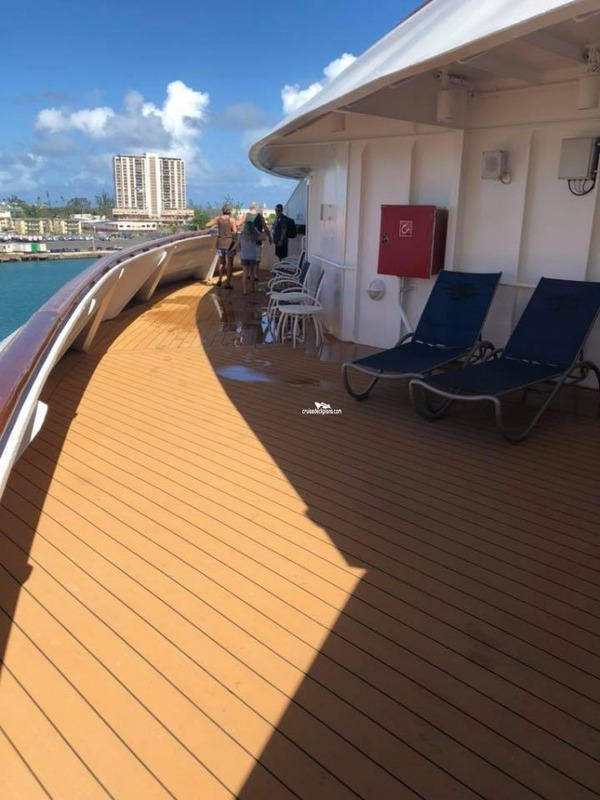 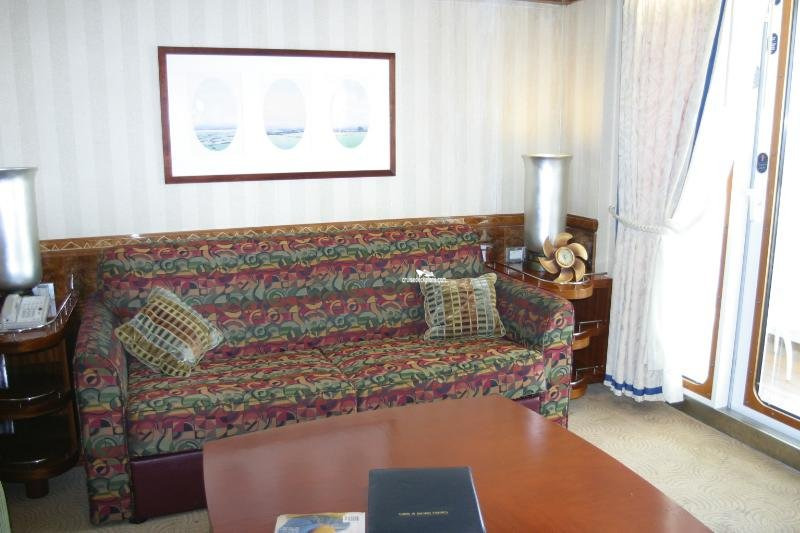 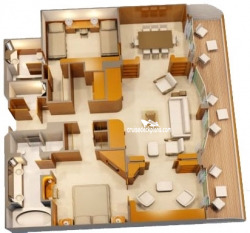 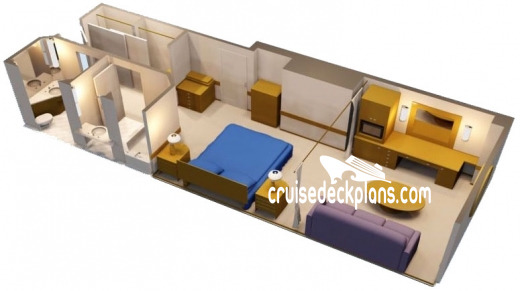 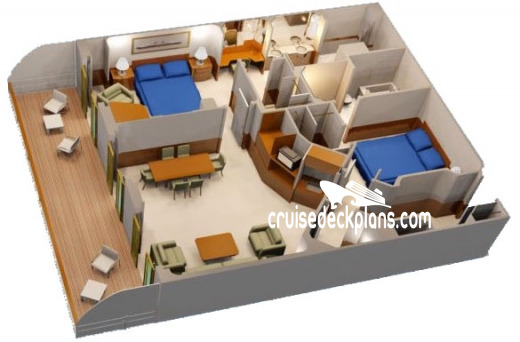 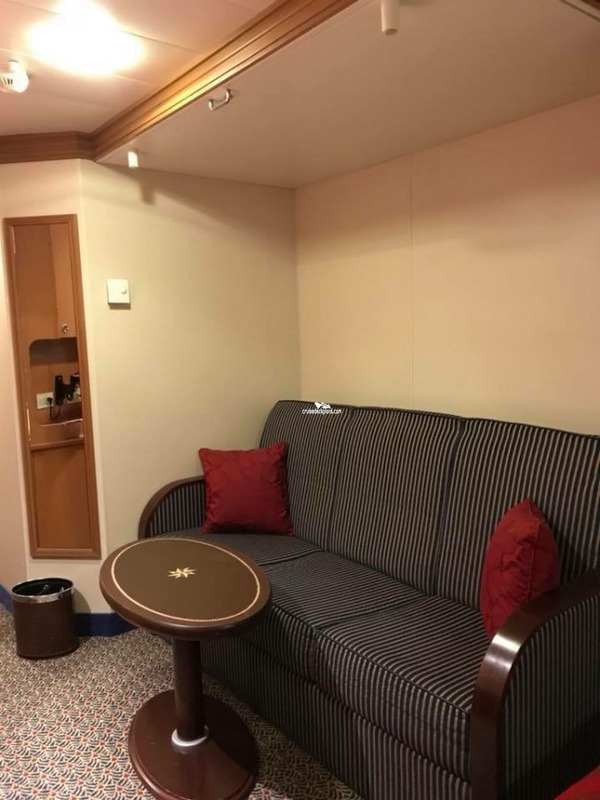 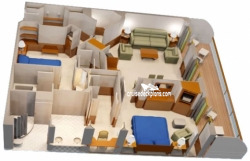 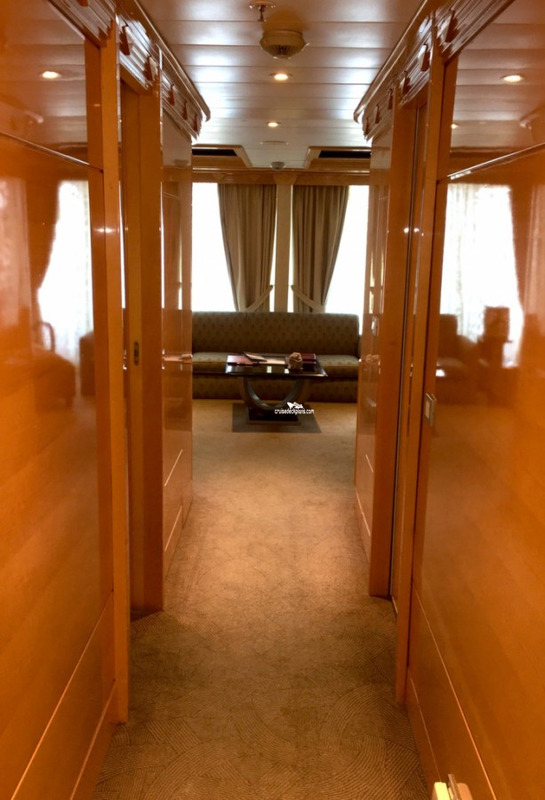 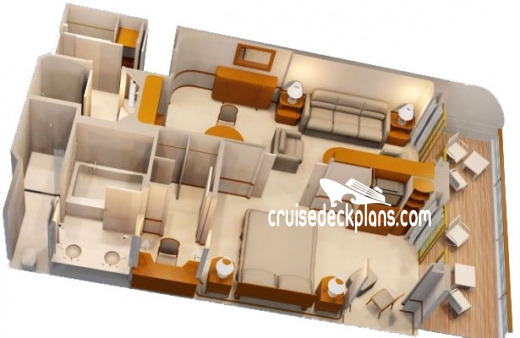 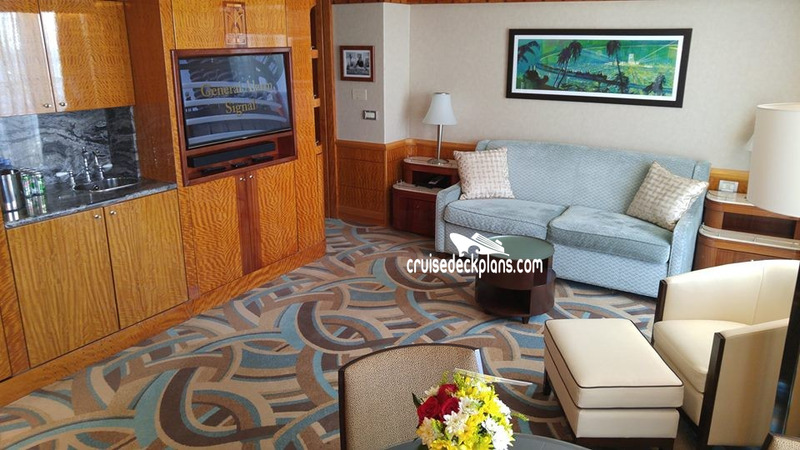 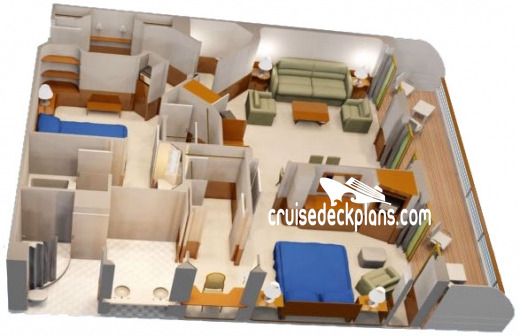 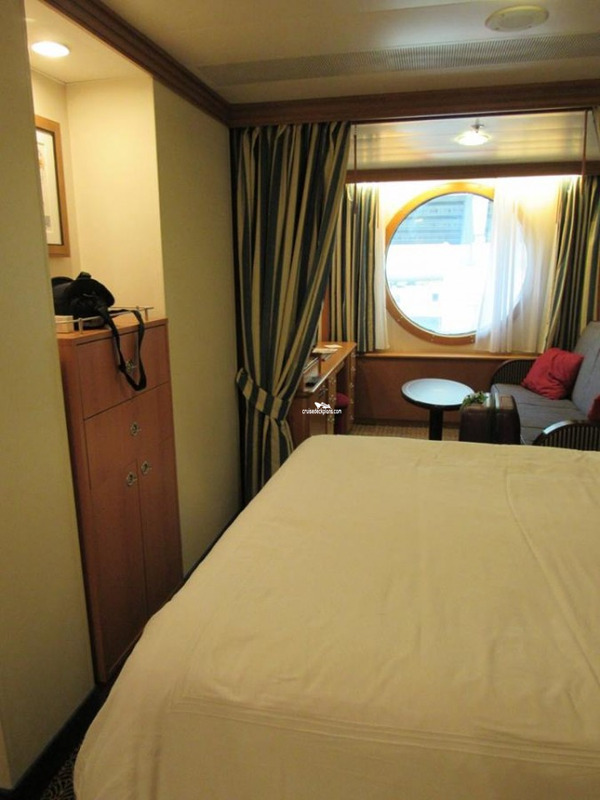 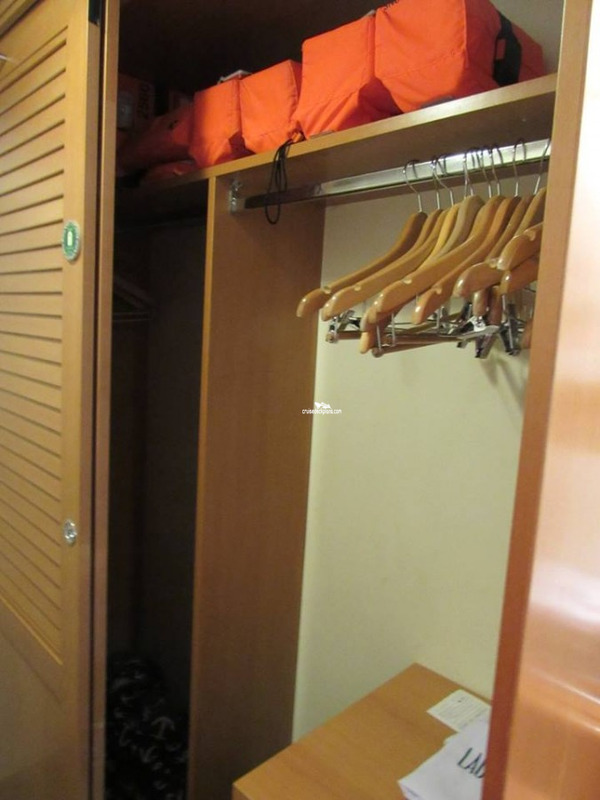 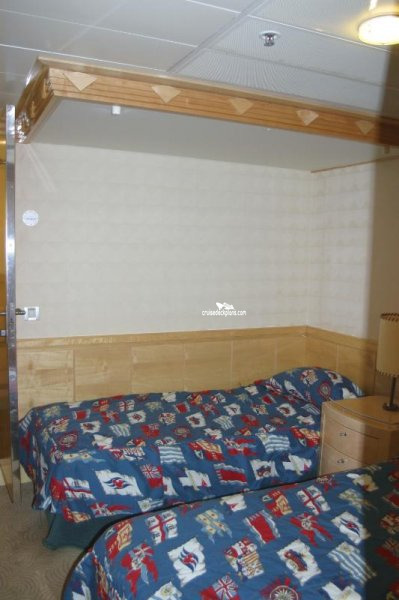 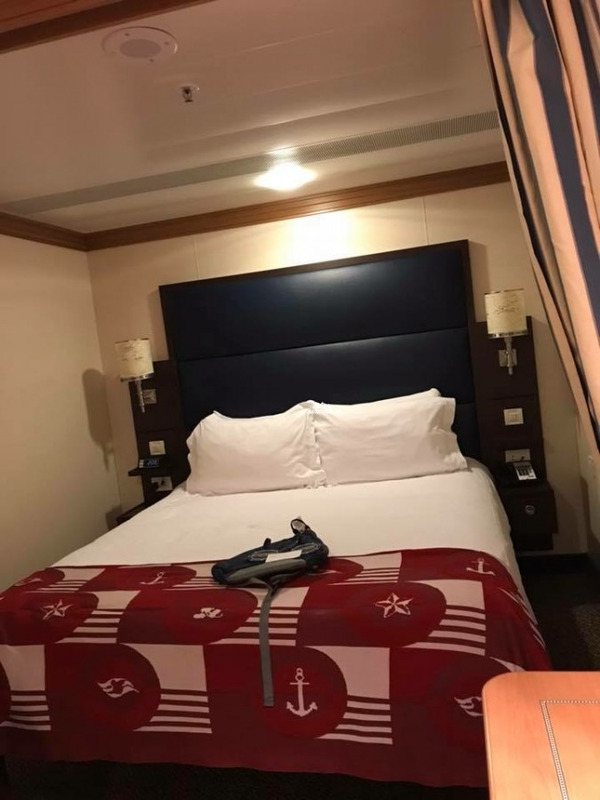 All staterooms have tub & shower, remote-control color TV, closet safe, in-room safe, hair dryer, phone with voice-mail messaging, and individual climate control. 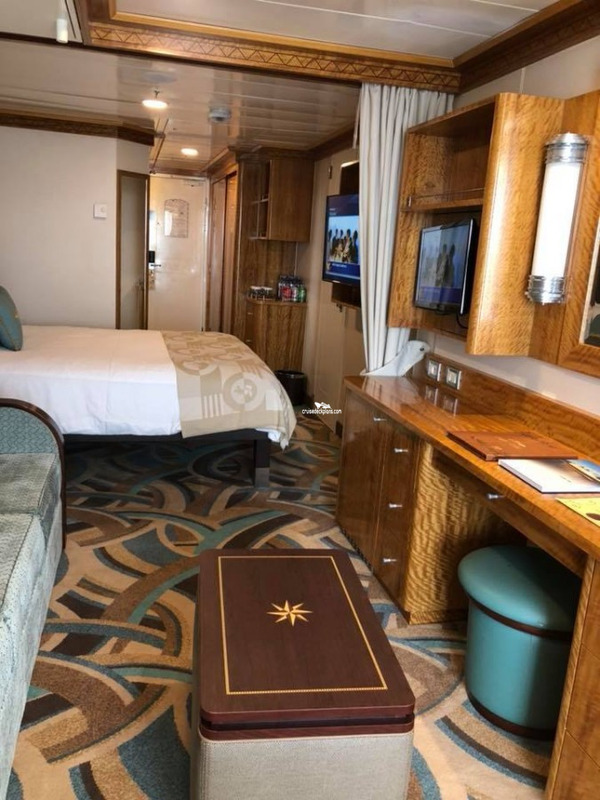 All staterooms have tub & shower, remote-control color TV, closet safe, in-room safe, hair dryer, phone with voice-mail messaging, and individual climate control.